American Crew Daily Moisturizing Shampoo is an amazing cleanser for men that hydrates all hair types, especially normal and dry hair. Enriched with a fine blend of natural ingredients, it moisturizes and regenerates hair, without weighing it down. Tones and hydrates the scalp. Leaves hair soft and supple, adding extra shine. 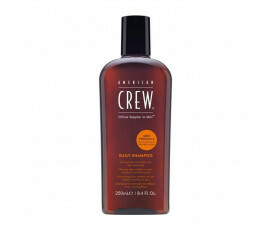 Gently cleanses hair, without removing its natural oils. Soothes, smooths and moisturizes hair. Rosemary and Thymus Extracts stimulate microcirculation, leaving hair stronger, thanks to their natural anti-inflammatory and antioxidant properties. 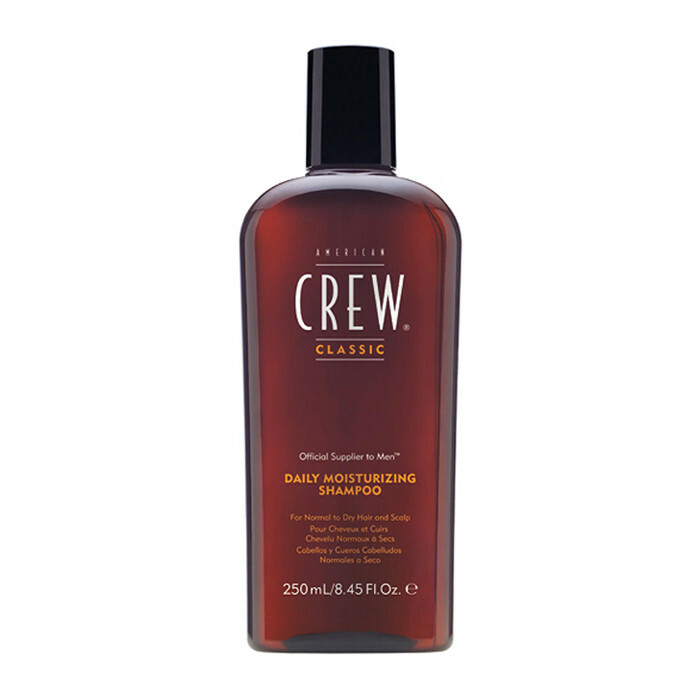 Rice Bran Oil soothes and softens the scalp, protecting hair. Quillaja Extract from Panama cleanses hair deeply. Polyquaternium 10 adds body and shine to hair, leaving it healthy and beautiful. Apply a small amount of product to wet hair. Massage through hair and scalp.